Fox and Sky: what happens to media plurality now? On June 29, the UK’s Culture Secretary stated that she would submit to a full competition review the 21st Century Fox bid for 100% control of Sky plc. Will it happen? 1998:Film critic Barry Norman with the then Sky TV's General Manager Elisabeth Murdoch for the launch of three new channels for Sky Movies.Peter Jordan/Press Association. All rights reserved. For those people passionately opposed to Rupert Murdoch’s media empire, the statement from Karen Bradley last Thursday would have aroused mixed emotions. One of the companies in which the Murdoch Family Trust (MFT) holds a controlling 39% interest – the US-based 21st Century Fox, hereafter “Fox” – is trying to buy all of Sky plc, in which Fox itself already holds a controlling 39% share. After a 10-week review by the media regulator, Ofcom, Bradley was advised that there were presently no grounds for barring the transaction for reasons to do with commitment to broadcasting quality and upholding Ofcom standards: the “fit and proper test” had been passed. Anyone who thought that the still-running phone-hacking scandal or the recent reports of sexual harassment at Fox News in America might derail the bid, would have been disappointed. If so, they had misunderstood the “fit and proper” assessment process: this is continuous, and not confined to the period when a transaction is in process. If Fox had been vulnerable on that front, it would have lost its licences already – and that would have been all 54 of Sky’s Ofcom licences, not just that for Sky News. So tremendous an upheaval would have required long-term and persistent breaches of the broadcasting code and Ofcom licence conditions, with removal of licences only happening after clear public warnings. Indeed, there have been far bigger scandals at News Corp (the publishing company that owns Murdoch’s UK newspapers and radio stations, in which the MFT also owns 39%) than those that have afflicted Fox News (another Fox broadcaster), including the vast overpayment by News Corp for Shine, the production company created by Murdoch’s daughter, Elisabeth (the board of News Corp paid out hundreds of millions of dollars in damages to disgruntled shareholders, and promised to amend its governance practices). What continues to block the Sky deal is the verdict from Ofcom that there is a media plurality problem, in that 100% ownership of Sky would “reduce media plurality” and may provide an opportunity for the MFT to align the editorial approach of Sky News with that of the newspapers that the MFT controls through its 39% shareholding in News Corp. The Ofcom report emphasises that the threshold for recommending a full inquiry by the Competition and Markets Authority (CMA), which could run for six months, is low. “The Secretary of State would need to hold the reasonable belief that it may be the case that the transaction may operate or may be expected to operate against the public interest” (their emphasis). Essentially, the Ofcom assessment of this risk is based on an analysis of the media market, on the position of Sky News and News Corp in that market, and the change that might flow from the enlargement of Fox’s shareholding in Sky. Perhaps to the disappointment of the Murdochs, the alteration in the structure of their empire three years ago – whereby they clearly separated the news and publishing company (News Corp) from the entertainment company (21st Century Fox), with each having a different set of outside 61% shareholders – has been effectively ignored by Ofcom. The regulator took the view that the MFT’s position in each of Fox and News Corp gave it material control, and so the two companies should be looked at together (which the Ofcom report says conforms with previous regulatory practice). So in terms of media market share, the newspapers, the radio interests and Sky News have been lumped together. However, this approach raises a rather more subtle issue. If the combined share of news consumption of the two different companies is a problem, why was News Corp two years ago allowed to purchase the radio stations in the Wireless Group (TalkRadio, TalkSport and Virgin Radio), thereby unquestionably increasing the Murdoch companies’ share of news consumption? Indeed, where were all the objectors then? There was no inquiry, and no calling in of Ofcom to investigate, even though there was measurably a reduction in the number of media owners (just as there was when Northern and Shell bought Channel 5 – again, with no Ofcom inquiry). The Ofcom report this time concludes that buying out the 61% (a mass of small shareholders, with no collective identity as a “media enterprise owner”) would result in a reduction in the number of those with control of media enterprises – quite a stretch, as the 61%, despite the presence of independent directors on the Sky board, had always allowed Fox (and before the corporate split, News Corp) full operational control of the business. Whether Fox’s lawyers bother to challenge this ruling remains to be seen. But the important issue is really what difference a shift from 39% control to 100% control might mean in terms of one small part of the Sky business: the editorial policies of Sky News. To the best of my knowledge – and I was Head of Programming at Sky for four years – no-one from the MFT has ever tried to influence the output of Sky News during the 29 years it has been on air. Indeed, the only influence the MFT has brought to bear is an insistence on Sky accepting the on-going financial losses incurred by Sky News (cumulatively, at least £500 million). Remarkably, when the Murdochs made a similar bid for Sky in 2010 (that time through News Corp), the independent directors suggested closing Sky News if that would allow the deal to go through. It was the Murdochs who spent six months trying to find a structure for Sky News that would satisfy Ofcom and keep the service alive: only for the Milly Dowler revelation to force News Corp to withdraw the bid. There is no doubt that Rupert Murdoch from time to time influences the output of the newspapers in which the MFT holds a 39% shareholding: he can, and he does – but as far as I am aware, that is not the case where Sky News is concerned. During the last bid, Ofcom claimed that 100% control would allow Murdoch to select the editor of Sky News – I pointed out at the time that he had always had approval of such appointments, even with 39% control, and Ofcom has not advanced that argument this time. Instead, it explores the possibility of aligning the editorial policy of Sky News with that of the Murdoch newspapers. Ofcom acknowledges that this could not be explicit, as it would breach the broadcasting code, but suggests that omission of certain news stories, managing the news agenda and offering screen time to News Corp newspaper writers might achieve a similar effect. No doubt Fox will challenge this hypothesis: given the intense scrutiny to which all Murdoch activity is subjected, half a dozen university media departments would surely be tabulating every bulletin, every screen appearance, and every “missing” story. That such a policy might be implemented but not detected is scarcely likely, Fox might argue: more importantly, if such subtle tweaks could not be detected, how could it be shown they were influencing public opinion? Indeed, would such tweaking be permissible within the terms of the Sky News licence from Ofcom, or not? If not, then the licence could be revoked. If permissible, surely the problem lies with the licence terms, not with the Murdochs (assuming Ofcom is willing and able to flex its regulatory muscles). It would be very curious to block the transaction for fear of changes to Sky News which were perfectly proper within the broadcasting code and licence terms. Perhaps Ofcom might have created a simple matrix to frame its analysis. Absent the transaction, is there any evidence of the MFT trying to align Sky News with the editorial line in its newspapers? If not, is that because the Murdochs have no such intention, or because something is stopping them? Is the 39% ownership an inhibiting factor, where 100% would allow the alignment? That is clearly not the case with the newspapers: 39% seems more than sufficient to allow editorial interference. So why exactly is it assumed that 100% ownership of Sky would enable this supposed desire for editorial alignment to take place? After all, News Corp owned 100% of Sky during the first two years of Sky News, but there was no alignment then. Ofcom is entitled to speculate as to possible outcomes of the transaction: but it goes further in its report, talking of “concern”. Yet it seems not to have asked itself how the MFT would go about executing the nefarious plan it is “concerned” about. Which “commentators”, and from which News Corp newspapers (The Sun, The Times, The Sunday Times and The Wall Street Journal all have somewhat different political slants and approaches)? If from The Times stable, would it be the fiercely anti-Brexit Oliver Kamm, or the strongly pro-Brexit Dominic Lawson? If there were even a glimmer of such an ambition within the MFT, why is it the absence of News Corp writers appearing on Sky News that currently seems most notable? Why is the most regular duo of commentators on Sky News Kevin Maguire of the Daily Mirror and Andrew Pierce of the Daily Mail – two newspapers deeply hostile to News Corp and all its activities? Indeed, why is there no marketing co-operation between News Corp and Sky, or joint advertising sales arrangements, both of which would be perfectly legal under current ownership? Sometimes, one wonders whether the problem with Ofcom is not so much that it is a poor regulator, but that it lacks the confidence in its ability to do its job, or even in whether the job is do-able. Sometimes, one wonders whether the problem with Ofcom is not so much that it is a poor regulator, but that it lacks the confidence in its ability to do its job, or even in whether the job is do-able. To recommend a full investigation of a transaction because it might either result in editorial changes at Sky News that were entirely permissible under the broadcasting code and the terms of the Sky News licence, or alternatively result in changes that were not permissible but which Ofcom did not feel able to prevent, tells us much more about Ofcom than about the MFT. For reasons best known to itself, Ofcom has chosen to echo the fears of the most committed opponents of the Murdochs, without expressing an iota of scepticism about them. Its report quotes repeatedly from a submission from Ed Miliband and Sir Vince Cable, without mentioning their extraordinary article in The Guardian claiming that Sky and News Corp were responsible for 45% of all radio news consumption in the UK (true figure: less than 2%), or Cable’s deplorable abuse of his then position as Secretary of State for Business in the coalition, when he was required to act in a quasi-judicial fashion in dealing with the original bid for Sky in 2010, only later to admit that he had referred the bid to Ofcom as part of his “war on the Murdochs” (an admission that forced his resignation). In some circumstances, absence of evidence is not deemed sufficient to constitute evidence of absence. In the case of Sky News, however, the CMA (the Competition and Markets Authority, which would examine the deal if Karen Bradley goes ahead with her provisional decision to refer the bid) would surely look for some clue from 29 years of experience as to why it should be assumed that the MFT nurses the ambitions that the Ofcom report warns against, and why Ofcom seems so lacking in confidence in its ability to handle the outcome. The threshold for concern at the first stage of inquiry was, as Ofcom concedes, low: for the CMA, the threshold will be a quantum higher – a probability rather than a possibility of the transaction proving contrary to the public interest. Having strongly criticised the previous Ofcom report on the 2010 News Corp bid for Sky, I must express some relief at the improvement in the quality of analysis this time. A series of errors I identified last time have, gratifyingly, not been repeated this time. There is no attempt to create a specific reach figure for radio news, and the attribution entirely to Sky News of a (wrong) total for commercial radio news consumption is withdrawn, with full acknowledgement of the role of Independent Radio News and the commercial stations themselves in managing news content and assembling the news bulletins. The role of broadcaster is now recognized as far as ITN’s supply of news to ITV, Channel 4 and Five is concerned: last time, all of Five’s news audience was attributed to the supplier (Sky News at the time), as if the broadcaster had no say in the matter – something that I, as a former CEO of Five, knew was a mistake. Nor does Ofcom come up with a grossly exaggerated figure for consumption of news supplied by Fox/News Corp: unlike its 2010 report, where it calculated the Sky/News Corp share of all news consumption at 23% (and the BBC at 43%), when the correct figures were 10% and 61% respectively. Nor does Ofcom come up with a grossly exaggerated figure for consumption of news supplied by Fox/News Corp: unlike its 2010 report, where it calculated the Sky/News Corp share of all news consumption at 23% (and the BBC at 43%), when the correct figures were 10% and 61% respectively. I am sure the Fox lawyers will note, however, that the reason such errors have been avoided is that there are virtually no estimates of actual news consumption in the entire 134 page report. Instead, Ofcom is highly reliant on research into “resonance” and calculations of “reach” – something I pointed out last time as being both elusive and potentially misleading as a measure. Let me explain. Reach is a calculation of the number of individuals who have sampled a product (newspaper, TV channel, radio service, online website). The sampling threshold is variable – a minimum of three continuous minutes, or five minutes, or longer; or the qualifying minutes might be non-continuous; these minutes could be consumed within the same day, or over six days, or even over a month; or the reach might be based on “recall” and “”diaries” rather than metered usage. Trying to combine different measures of reach within a multi-platform assessment is difficult; indeed, questionable. Moreover, reach figures do not distinguish multiple uses of the same source within the measurement period from a single use. Most important of all, reach figures tell you nothing helpful about the real issue: actual consumption of news and current affairs. For instance, a news source might have a 100% reach, but the average usage might be just three minutes per individual. Another news source might have only 50% reach, but usage is 60 minutes per individual. In reach terms, the first source seems twice as important as the second; but in actual usage, the second source is ten times more important. It is not clear why Ofcom is so reluctant to use well-established industry figures for actual news and current affairs consumption. We have very accurate numbers for television from the industry research body; details of actual time spend reading print newspapers; highly reliable estimates of radio listening that can be matched to schedules to deliver good estimates of consumption of radio news and current affairs; only with online consumption of news do we lack robust figures (though some plausible estimates are available). Ofcom had commissioned last year another round of bespoke research by Kantar, which regularly asks a large sample of respondents what news sources they use “nowadays”, how they rate them, and which they rely upon. The latest findings have been published as part of the merger assessment process, and are useful, but do not of course act as a substitute for actual consumption statistics. Indeed, Kantar does not even refer to the radio research body, RAJAR, as a source, though it claims that it is delivering “quantitative data”. It is in the area of online news provision and consumption that the Fox team will puzzle longest over the Kantar findings. The most frequently cited measuring tool here, ComScore, shows The Sun doing modestly well online, but that excludes mobile devices, which Ofcom believes are increasingly used to capture news stories. Even as official newspaper industry statistics show sales of The Sun falling off a cliff (down 50% in just six years, part of the decline in newspaper circulation from 9 million sales a day to 5.6 million), Kantar suggests that there are 27 million mobile users who sample The Sun. Even as official newspaper industry statistics show sales of The Sun falling off a cliff (down 50% in just six years, part of the decline in newspaper circulation from 9 million sales a day to 5.6 million), Kantar suggests that there are 27 million mobile users who sample The Sun. What that means in terms of actual consumption is hard to say – assuming it is true – but what is certain is that News Corp would willingly swap that 27 million for just half a million real customers, whose purchasing of print copies would stem the heavy losses the title now incurs (it was once the cash cow of the Murdoch UK empire). The Fox submission to Ofcom had argued that, even if the Sky and News Corp news provision figures were combined (ignoring the fact that the two providers were owned by separate companies), the huge expansion of online news provision from scores of suppliers meant that “those in control of media enterprises” (the legal definition of who was caught by the public interest provisions of the legislation) were steadily losing influence. Ofcom disagrees: it judges that traditional media owners have not lost their influence as a result of the online surge – even that papers like The Sun might be disproportionate beneficiaries (clearly not true of The Times, which charges for online access to its news). The Ofcom judgment may not be robustly supported by data, but it remains a key element in the way Karen Bradley is required to assess the proposed deal. Where the Fox lawyers might have more leverage, should the issue be referred to the CMA, is in attacking some of Ofcom’s weaker conclusions. For instance, Ofcom makes considerable play of the “unique” position of Sky/News Corp in being distributed across “all four” news platforms – TV, radio, newspapers and online: “the strength of this position may allow Fox/Sky and News Corp to exercise a greater degree of influence over public opinion than might otherwise be the case absent the transaction” (Ofcom Report para 8.27 – though how the transaction itself might enlarge that influence is not explained). Karen Bradley specifically cited this “unique” dimension in her Commons statement. Yet when we check the Kantar report, we discover that, of those consuming news from “all four” platforms, just 1% use newspapers in addition to TV, radio and online as a news source: that is the trivial margin of benefit of this “unique” advantage, as compared with media distributed over only three of these platforms. In fact, restricting the definition of platforms to “all four” is possibly misleading. Kantar tells us that 20% of news consumers obtain news from local and regional outlets – TV, radio and newspapers. These three sectors are all distinct, with 600 newspaper titles, scores of radio services and regional TV provision from the BBC and ITV. The circulation of Metro alone increases the reported “reach” of the Daily Mail Group from 10% to 15%. Neither Sky nor News Corp feature in these sectors – News Corp has no local papers or radio stations, and the Sky News supply of content to the commercial radio stations is just of national and international stories: the stations, or station groups, themselves assemble the bulletins, which only very rarely are solely dependent on the Sky supply. If the definition of platforms is revised from four to seven, we can see that the BBC uses five, News Corp three, Sky three (four between them) and everyone else at least two (three in the case of Trinity Mirror, Daily Mail Group and the Lebedev Foundation) : so, not that “unique”. And the Fox lawyers will also query the Ofcom claim (para 6.42) that the transaction will “close” the gap between Sky/News Corp and ITV in “cross-platform reach” (a metric itself open to query) and widen the gap to the Daily Mail Group, where the relevant charts in the Ofcom document show that the reported reach of the combined group is actually less than the sum of the two separate groups (which is not surprising). The Ofcom judgment may not be robustly supported by data, but it remains a key element in the way Karen Bradley is required to assess the proposed deal. Another query will relate to Ofcom’s “share of references” data – a specific piece of bespoke research tracking the possible influence of different news providers. Puzzlingly, the “share of references” for the combined group is greater than that for the Sky News and News Corp separately: no explanation is provided for this counter-intuitive finding. What the Fox team will also home in on is the “saliency” aspect of Ofcom’s research. Before the explosion in online news consumption, the combined share of news consumption attributable to Sky News and News Corp was about 10% – well below the level that competition authorities usually regard as a basis for intervention. Ofcom believes that the online surge will not have weakened the position of traditional suppliers: but clearly the share attributable directly to TV, radio and newspapers will have declined, so it is unlikely that the Sky/News Corp position is above 10%. The Ofcom report declines to offer any hard metrics on consumption, but figure 4.6 tells us a great deal about saliency: a chart showing “the single most important news provider”, as reported by consumers of news, and tabulated in the Kantar survey. Sky News comes in at 5% (a decline from 2014’s 7%) and News Corp at 2% (down from 2014’s 3%). The BBC tops the table at 49%. Of course, the BBC is ascribed special status in all these media plurality assessments. It is seen as having no political agenda, and being dedicated to impartiality (though the Ofcom research shows that the public views it as no more impartial than Sky News or ITN, and – oddly enough – much less so than Channel 4 News). Yet the legislation is designed to prevent any one voice having too much influence: it does not say influence for good or ill, just influence. In the United States, a 60% share of news consumption would be completely unacceptable, however admired and respected the supplier. In the US, the BBC would have had its many news distribution arms (BBC One, BBC News Channel, Radio 5 Live, Radio 1, Radio 4, national and regional news, local news) split up long ago. The BBC is ascribed special status in all these media plurality assessments... seen as having no political agenda, and being dedicated to impartiality (though the Ofcom research shows that the public views it as no more impartial than Sky News or ITN, and – oddly enough – much less so than Channel 4 News). Three years ago, Ofcom itself asked the BBC Trust how it was proposing to introduce internal plurality to mitigate its dominant position. Answer came there none. Now, Ofcom has replaced the BBC Trust as the BBC’s regulator. The issue of internal plurality at the BBC merits no mention in this latest report. 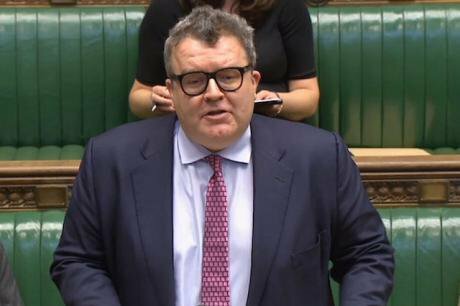 Labour Party deputy leader Tom Watson responds to Culture Secretary Karen Bradley in the House of Commons. Press Association. All rights reserved. Despite – or perhaps because of – the many repetitions in the Ofcom report of its concerns about the potential interference by the MFT in the editorial policy of Sky News – and the additional fear that politicians will perceive damage to the public interest from such potential interference whether it occurs or not – the offer of undertakings from Fox seems, towards the end of the 134 pages, effectively to solve the problem (or “mitigate” it, in legal language). Essentially, Fox proposes the creation of an editorial board for Sky News, with an independent majority and an independent chairman, which would prevent any attempt by the MFT to interfere in the service, whilst guaranteeing the maintenance of the Sky News budget at its present level for five years. Ofcom’s provisional view was that it would be preferable to lengthen the period of financial guarantee, and to tighten up the procedure for editorial board appointments: but it would be up to the Secretary of State to decide whether the offer was acceptable. Unsurprisingly, Karen Bradley declined the offer, on the reasonable assumption that Fox had “more to give”. But there was an unexpected element in her Commons statement and letter to the merger parties. In 2010/11, Ofcom and News Corp had wrangled for months over the nature of the undertakings on offer, with the solution being a structure whereby News Corp would buy all of Sky apart from Sky News, leaving in place a quoted company, operating independently, and with financial support from News Corp.
At the time, I criticised this solution as putting Sky News seriously at risk of decline and eventual demise: cut off from the “mother ship”, it would lose access to crucial content, marketing support, capital investment and the benefit of Murdoch’s personal commitment. Ofcom seems to have absorbed that criticism, arguing in its report this time that a structural solution is too risky for Sky News, which might suffer terminal damage if left to its own devices. Instead, Ofcom embraced what is called a “behavioural” solution, whilst leaving Sky News within the Fox business. The many critics of Murdoch (not just all political parties on the left, but some Tories, too) have warned against relying upon undertakings from Murdoch, citing previous bad experience at The Times and The Wall Street Journal, where promises to the vendors of those titles did not last long. The Ofcom report discounted those episodes, regarding legally binding undertakings (whether to Ofcom or the Secretary of State) as enforceable, on penalty of closing the service (by the way, many would argue that both The Times and The Wall Street Journal are significantly improved journalistic ventures under News Corp ownership, perhaps because of the broken promises). The joker in the pack turned out to be the CMA itself: its standard guidance is that behavioural undertakings, after a first stage competition review, are not normally acceptable. Yet its preference for a structural solution has already been undercut by Ofcom’s stated objections. How can this be resolved? Both Ofcom and Karen Bradley have something to lose from just allowing the CMA investigation to proceed: a more hard-headed methodological approach to media plurality by the CMA could embarrass Ofcom, and if the resulting assessment established that the risks to plurality from the transaction were too minor to justify intervention, then even the undertakings currently on offer would fall away, leaving Bradley exposed politically. Fox has less to fear from a CMA process, though it would have to honour a pledge to make a large payment to the non-Fox shareholders in Sky if it failed to complete the transaction by the year end: a typical 24-week CMA process would almost certainly run past that deadline. On the other hand, if the CMA could be persuaded that a beefed up version of the current undertakings would satisfy Ofcom, and was preferable to any possible structural change, then Karen Bradley would be off the hook. Although theoretically she has absolute discretion, acting in a quasi-judicial capacity (that is, not as a member of the government, or according to party preferences), her position in practice almost certainly means adopting the advice provided by the competition authorities themselves. That is how Jeremy Hunt, in the same position last time, narrowly defined his discretionary space. The unusual aspect of this dilemma is that a structural solution to a competition issue usually involves requiring the bidder to spin off a valuable asset. In this case, Sky News has negative commercial value (though Fox recognizes its considerable brand value). In effect, there is no prospect of anyone else buying the loss-making service, so – as Ofcom now acknowledges – separation is a high risk option. Fox is unlikely to say so openly during the consultation period that Karen Bradley has launched (ending on July 14), but if there is a stand-off between Ofcom and the CMA, the nuclear option is simply to announce the planned closure of Sky News, thus removing all the media plurality issues in one ironic stroke. So the likelihood is that Karen Bradley will see how far Ofcom and Fox can get with UILs (“undertakings in lieu” of a reference to the CMA), and whether the CMA will sign off on them: then she can with a clear conscience approve the deal (no doubt to the non-assuaged anger of Murdoch’s many critics). But Fox will not want to spend months on such a process when it can be highly confident that a CMA investigation would clear the bid, requiring as it does a much higher threshold – probability, not possibility, as with Ofcom – of evidence that the transaction would damage the public interest. Tom Watson, for the Labour Party, in responding to Bradley’s Commons statement saying she was minded to refer the bid to the CMA, predicted that her seemingly strong words would quickly be overtaken by an improved offer from Fox. Tom Watson, for the Labour Party, in responding to Bradley’s Commons statement saying she was minded to refer the bid to the CMA, predicted that her seemingly strong words would quickly be overtaken by an improved offer from Fox. Bradley protested at his cynicism: but the dynamics of the situation suggest that his forecast is likely to be proved correct. If so, then we must all at least hope that the independence and financing of Sky News are robustly established in any undertakings given, and then properly enforced. To lose or damage Sky News, especially by miscalculation on the part of those responsible for monitoring the bid, would be a serious setback: not least to the need for media plurality, which is ostensibly the issue at stake.